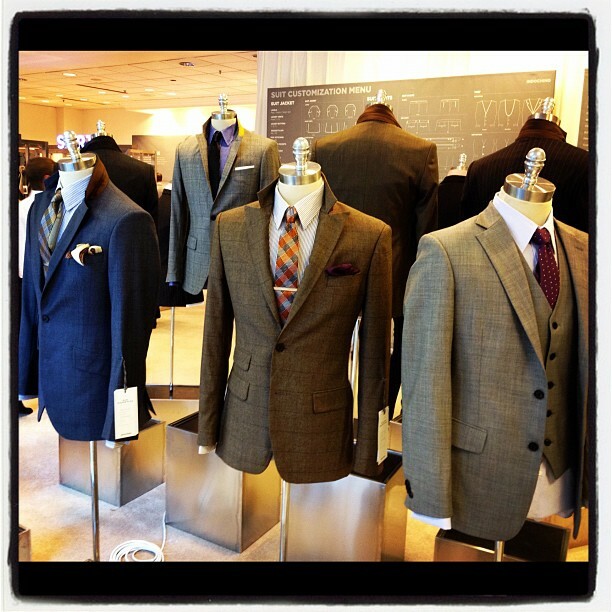 As you may know, Indochino had it's first ever pop-up store in their hometown of Vancouver during the last days. The event seems to have been a big success, 760 people registered on Facebook alone and I am sure many hundreds more reserved via the website or just dropped by to check it out. Most reports on Twitter and Facebook were very positive and it certainly shows that is important for customers to see and feel the materials and fabrics before you purchase. I am sure many custom tailors perceive Indochino as an even bigger threat now. Furthermore, the measurements were taken by professionals (even the two co-founders, Kyle Vucko and Heikal Gani were there) so the suits should turn out great by any means and you have a great profile for future purchases. Here is hope the event was successful enough for Indochino to roll out more across the US and Canada (and hopefully Europe?) in 2012. You can find some more photos and customer's opinions on Indochino's Facebook page and on Twitter by searching for #SuitUpYVR.